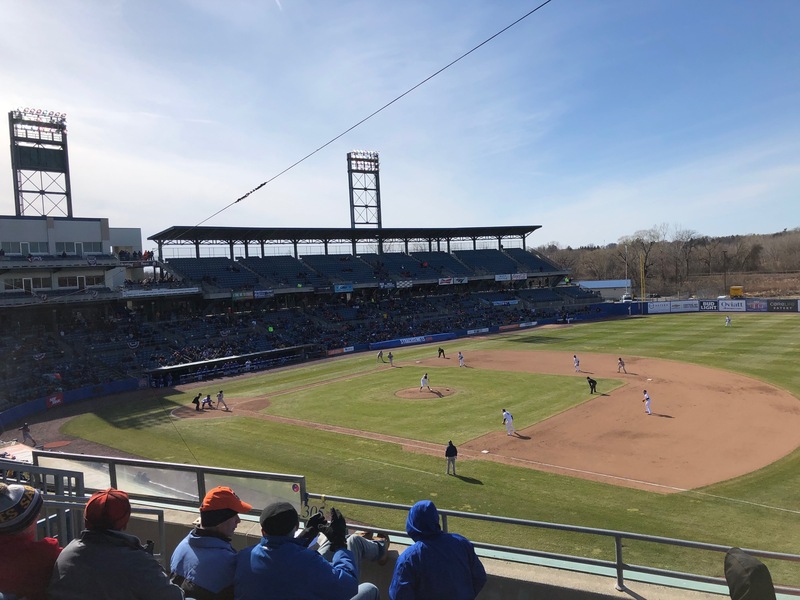 Our family excursion to see the first-ever Syracuse Mets game brought a traffic jam. By the time we wound through the streets and into the satellite lot, it was perilously close to the Thursday afternoon start time of 2 o’clock. Yet still there were deep lines for the gate security check. We still made it to our great seats in time for the first batter. 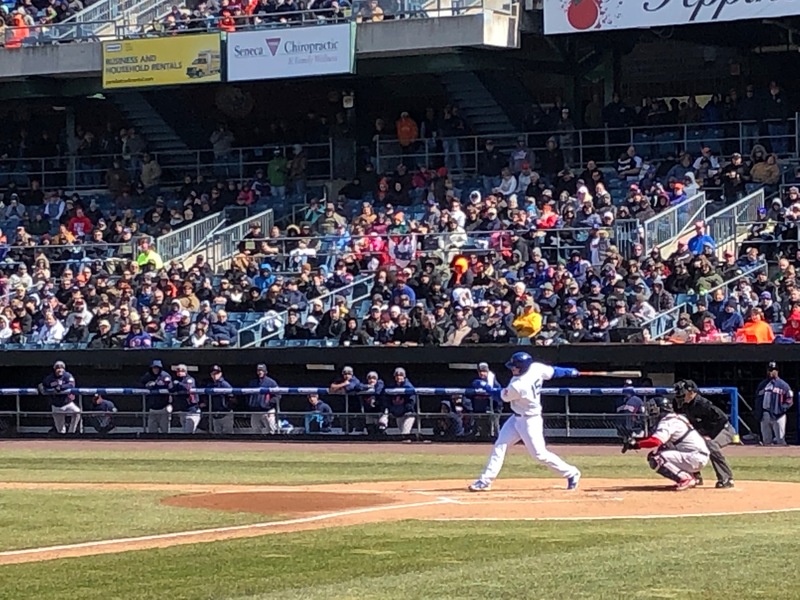 Our third-base side spot was perfect to watch the concentration at the plate of the most famous Syracuse Met, outfielder Tim Tebow. 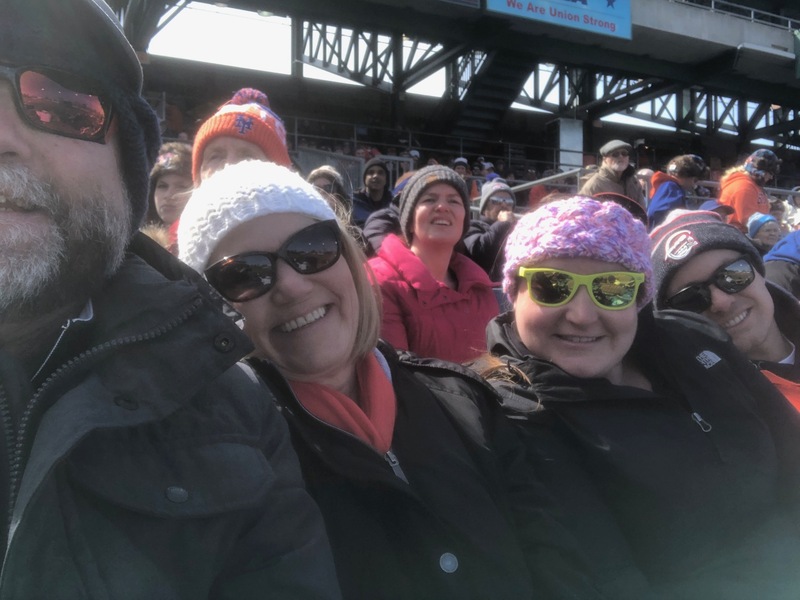 For the first half of the game, the shining sun brought smiles to the faces of my dear wife Karen, great daughter Elisabeth, sensational significant George Three and myself. When the shade came, we decided to follow the sun to right field. The upper deck was breezier. 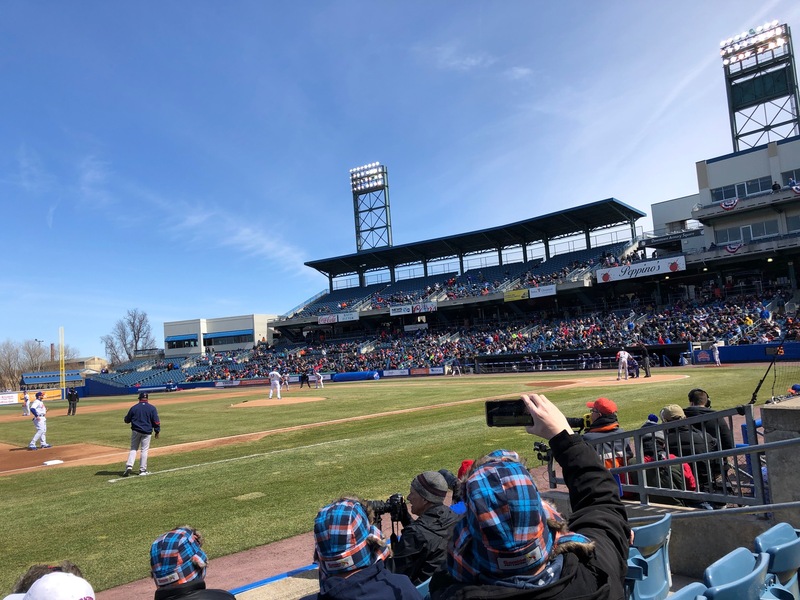 Alas, in front of a big and enthusiastic crowd of 8,823, the Mets could not hold their 3-2 lead. The game went into extra innings, and the Red Sox prevailed 6-3. I think we will wait for warmer temperatures than low 40s dipping into the high 30s for our second excursion. 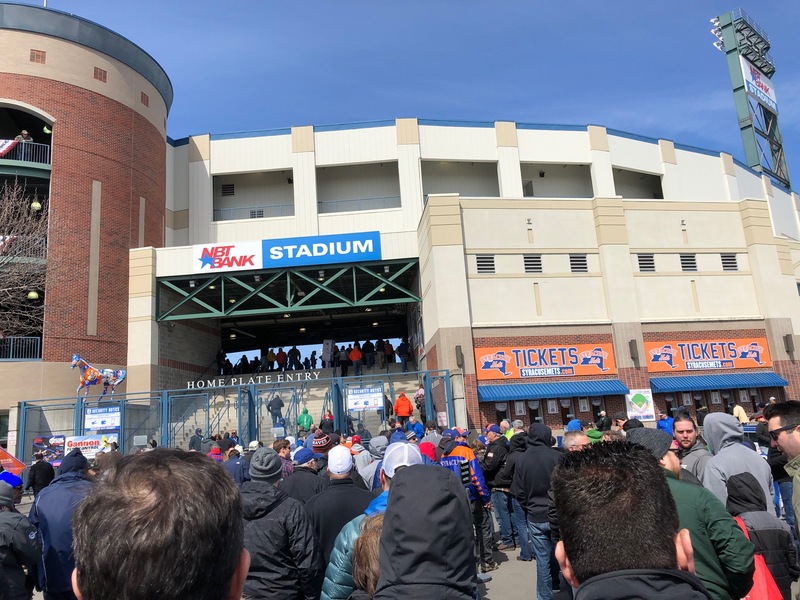 You and 8,000 hardy folks braving the chilly weather to Meet The Mets … bravo! Mike, you would have loved the atmosphere! Way to be a team member! How fun for ALL! You know by now how we can go with the flow, MBC. Thank you for being one of us from Ohio. You’ll want that shade in July. Good call, Scott. You know I’ll ask for seats in the same place. Yes, Beth, a lasting memory it will be. Let’s Go Mets!